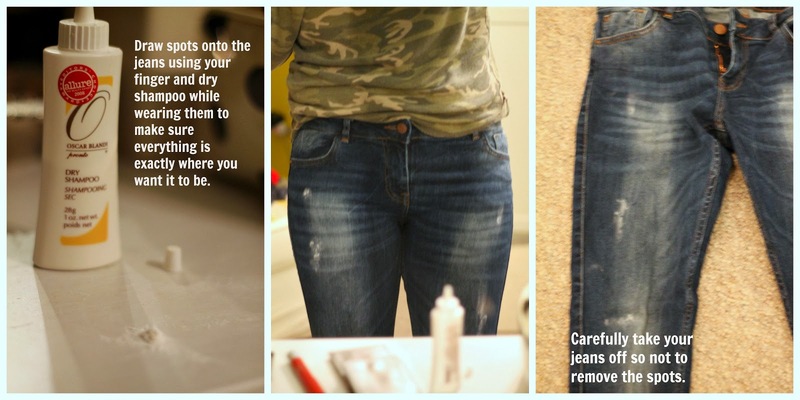 Lately all I've wanted from the denim world was a good pair of slightly distressed jeans. Nothing too excessivly holey or boyfriendy: something I can still wear to work on Fridays. Seeing Olivia Palermo look so gosh-darn put together in hers made me want a pair RIGHT NOW! But every store I went into told me they weren't out yet and that I'd have to wait till spring. Boo. So what did I do? 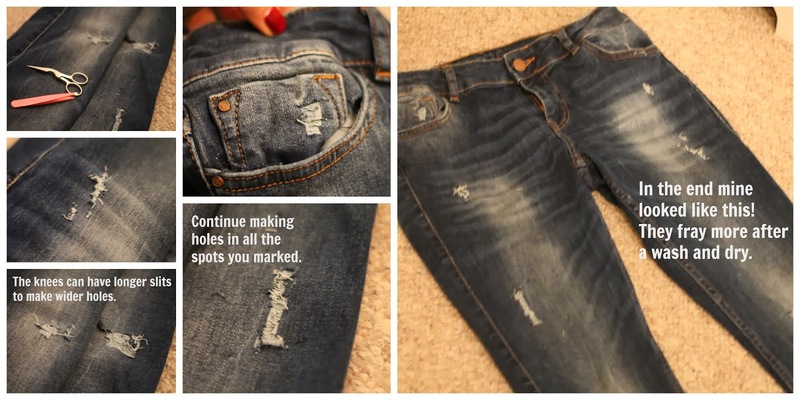 I asked Jillian from Bevello which tutorial she used to create the holes on her jeans and then tried it myself. Here's how it went. Not very crafty and want to buy some now? Lucky for you. spring options are finally coming out in stores and online! Shop some of my favorites here! Did you do these above? They look great! Do you mean the pictures or the jeans? Yes to both! In my apt in my ratty old camo thermal and an old pair of Zara jeans!